Transform WEBP to TIFF raster images online in a few clicks! 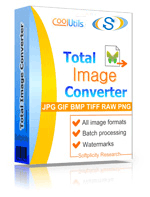 Use a WEBP to TIFF Online Converter or take the batch Tool for more! Description WebP is a new lossy image file format, whose mission is to overthrow JPEG, which has long been the ruler of the web image world. Although it is not expected to outdo JEG in image quality right away, it seems to be outdoing it in user-friendliness. With Webp, you get a same-quality image almost 50% smaller than its JPEG counterpart. Webp uses VP8 � an open-source codec, and a RIFF-based container, which creates a good potential for further development. The format was created by Google.